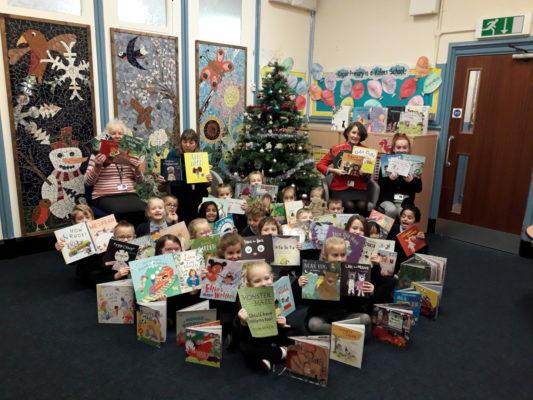 Ruth Morgan, Additional Learning Needs Coordinator, Cogan Primary School in the Vale of Glamorgan recently set up an award to address the lack of equal representation in children’s picture books, and how to address that. In this blog post, she takes us through the shortlisting process, familiarising the students with the books, and the supportive environment that the Cogan Diversity Picture Book Award is encouraging in others. This is a follow up to the blog I wrote last term explaining how and why we set up our award and offering tips to other schools wishing to do something similar. In this piece, I am going to talk about the children’s responses to the books and how we’ve organised the shortlisting process, as well as exciting news related to the project. Last term was all about becoming familiar with the books (we are still familiarising ourselves with those which arrived nearer the deadline) and with that in mind, we organised for individual classes to borrow the whole collection for an afternoon, ran ‘Diversity Book-Buddy Club’ at lunchtimes, where children could drop by for all or part of their break to read with their friends and we also shared books in assemblies and story times. These activities will continue this term. The children have enjoyed the books in lots of different ways and we have posted children’s quotes about them all on our Twitter feed (please follow us @DiversityCogan). Individual children’s responses to the books have been very telling. Some have recognised aspects of their own lives, or those of family members, reflected in the books and we feel it has been very healthy in helping these children feel free to talk about situations; this has really happened. Other remarks in passing have included: “This girl’s like me, I don’t like wearing dresses either,” to which the child in question’s friends just nodded supportively. We feel it has been an extremely positive experience for our children to spend time with this set of books and get a sense of the wide range of human need, experience and situation. The main classes focused upon the shortlisting are years 2, 3 and 4 and each child has received a voting booklet. The younger Foundation Phase children have been listening to the books during class story times, while years 5 and 6 are invited to attend the lunchtime Book-Buddy club as often as they like and will receive a voting booklet if they come regularly. We feel that this large number of picture books are best judged by the upper infants/lower juniors whose interest they are most likely to sustain and who will give the most considered opinions. However, when it comes to picking a winner from the much smaller number of shortlisted books, every child in the school will get a vote. The voting booklets show the covers of the books in alphabetical order accompanied by a box to tick once the book has been read and a one-to-five-star rating for the child to complete. What made you want to read this book (if anything)? How do you rate the text? If it’s a story, how well do you think it’s told? If it’s non-fiction, is it clearly explained? If it’s poetry, did you enjoy what it said and the way it sounded? If you were similar to one of the characters, would you be happy with the book? (This concerns the book’s message or character representation). We feel it’s really important that in addition to promoting diversity and inclusion – and by virtue of appearing on our long list, all the titles do that – we also judge these picture books on their literary merit and for their visual literacy appeal. Our Diversity Picture Book Award has certainly taken off, but it has been a lot of work as I’ve said before and although we initially considered running a separate category for ‘middle grade’ or ‘chapter books’ for older readers, it would have meant spreading our resources far too thinly. We are therefore absolutely delighted that in a brilliant bit of school-to-school working, our friends at Sully Primary School just along the coast, who have always had such enthusiasm for the promotion of children’s literature, have decided to launch their own Diversity Award for books which target the 7-11 age group, led by Literacy Lead and Additional Learning Needs Coordinator Laura Sheldon. We’re really excited about this development, it makes the whole project even more interesting and we are sure the benefits will be tremendous. If you enjoy following our news on Twitter, we are sure you are going to enjoy following @DiversitySully too!